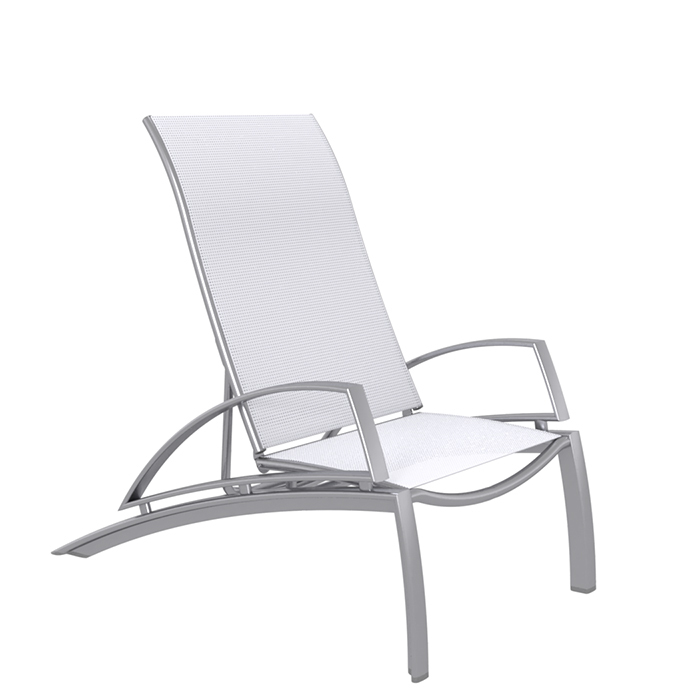 South Beach Relaxed Sling Recliner is an ideal outdoor seating option for comfort and style. South Beach EZ Span™ is available with either Waves or Ribbon segment designs in all EZ Span™ colors. A variety of frame finishes allow you to create a custom look for any outdoor environment. Step into your own remote South Beach escape with an ideal look for any outdoor atmosphere.